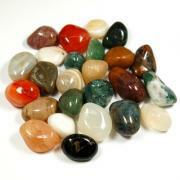 Medium (1" - 1-1/2") "Gold Rutile" - 1pc. Large (1-1/2" - 2") "Gold Rutile" - 1pc. XL (2" - 2-1/2") "Gold Rutile" - 1pc. 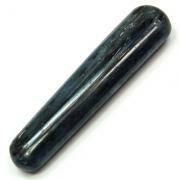 Medium (1" - 1-1/2") "Silver Rutile" - 1pc. Jumbo+ (3" - 3-1/2") "Gold Rutile" - 1pc. Smokey Quartz Rutilated Spheres "Extra" - These are cut and polished Smokey Quartz Rutilated Spheres "Extra" from Brazil. 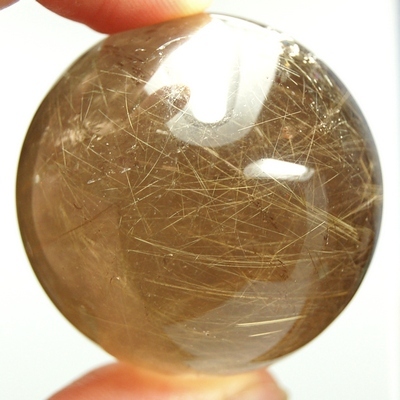 These Rutilated Quartz Spheres are riddled with needle-like pieces of silver or golden Rutile, a mineral made of Titanium Oxide, that are also known as "The Hairs of Venus". Found mostly in Madagascar and Brazil, these cut and polished Rutilated Quartz Spheres carry a very high vibration and are a great form of this mineral. 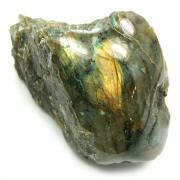 A stone often used in Attunements, Rutilated Quartz promotes a connection with the Divine. It is a self-contained example of two very synergistic minerals working in combination with each other, where each mineral enhances the energies of the other. 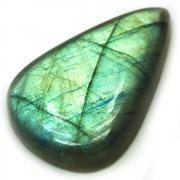 Many crystal lovers utilize the energies of Rutilated Quartz for channeling and astral travel. Rutilated Quartz is also used to enhance psychic abilities, clairvoyance, and telepathy. It is helpful to think of the Rutile within Rutilated Quartz as a spiritual antenna of sorts, via which you can broadcast and receive vibrations from a higher source. Rutilated Quartz is useful for amplifying energies and intention, and is therefore great for programming, meditation, and dream-work. The fine vibrations from rutilated quartz can easily facilitate the deeper state of mind that is conducive to lucid dreaming and productive meditation sessions. Simply gazing into Rutilated Quartz can bring one into an altered state of consciousness. Programming is the same as it is for Clear Quartz, however the program is amplified even more so in Rutilated Quartz Crystal. Rutilated Quartz puts off an exceptionally high level of energy, and is said to bring physical and mental balance and stability. Many use Rutilated Quartz to help promote mental clarity, to draw off negative energy, to cleanse the aura, and to heal the etheric body. Rutilated Quartz also enhances self-reliance and helps with decision-making. Use Rutilated Quartz as a link between the Root and Crown Chakras, or to get to the "root" of a problem, and to bring in Divine Inspiration for a solution. The Sphere can help to unlock the unlimited potential in a situation and helps us to connect with the Oneness inside of us All. 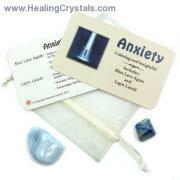 These Crystal balls are perfect for amplifying your meditations or energy work. Clear Quartz Crystal Spheres are particularly effective with working with the Crown and Upper Chakras. By combining the Sacred Geometry of a Sphere with the Sacred Geometry of a Quartz Crystal, you get a powerful piece that carries some high energies. Spheres send their energy out in all directions at once. Spheres can help to unlock the unlimited potential in any situation. Meditating with Quartz Crystal Spheres can help one to connect to the Universal Oneness within us all. These Crystal balls are perfect for amplifying your meditations or energy work, and can be used for the practice of scrying.